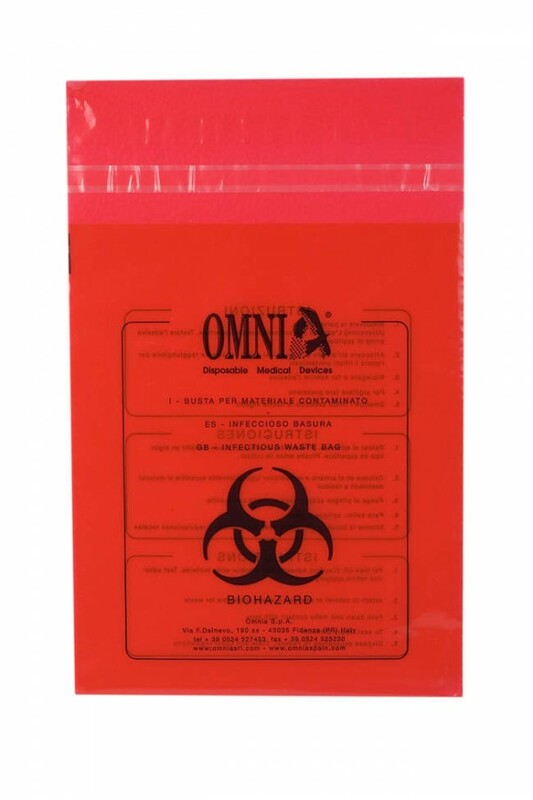 Waste bag for the safe handling of contaminated material. Ideal for use in laboratories and for handling waste in hospital wards. Each bag has an adhesive strip for easy affixing to a Mayo table or any other surface to prevent the spread of infectious material such as membranes, used gauzes or extraction elements.